End the MPAA rating fight over the anti-bullying documentary by putting it on the Web. It would be a Net gain for all. "The Hunger Games" comes amid a controversy over "Bully," a documentary kids in a real-life fight for their lives. The object of what we'll call the "Bully" games is to get as many young people and their families as possible to see the anti-bullying documentary, due out Friday. The Motion Picture Association of America dropped a major roadblock by saddling the film with an R rating, citing uses of the F-word. Amid an uproar over the ruling, the distributors this week decided to drop their own F-bomb on the MPAA by releasing the film unrated in protest. While the move by the powerful and publicity-savvy Weinstein Company, as The Hollywood Reporter noted, will limit showings to a handful of theaters (two in New York and two in Los Angeles to start), it also could help keep fanning interest in the film. But there's a better way to win the "Bully" games: Quickly put the documentary on Netflix, pay-per-view and even the Web. It would be a Net gain for all. Louis CK showed the potential profit in bypassing traditional distribution outlets late last year by offering his latest stand-up routine on the Internet for $5, reportedly grossing $1.1 million. CK's often-raunchy, profanity-filled comedy is undoubtedly R-rated material. Harsh language is used to a far different effect in "Bully," which traces the stories of five families impacted by bullying – including two cases in which children committed suicide. We haven't seen the film, but as we've previously noted, it would seem that raw language is crucial in conveying the devastating results of hurtful words. The R rating for a film about high-stakes, real-life kid vs. kid battles seems particularly ridiculous given the PG-13 awarded to "The Hunger Games," a fantasy flick about children being forced to fight for their lives in the name of entertainment. But the very different films could be pieces of the same pop cultural zeitgeist. 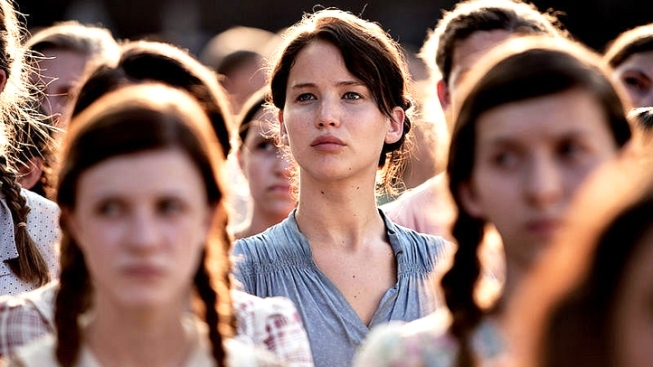 The incredible success of “The Hunger Games,” particularly among teenagers who may feel powerless in their own lives, makes "Bully" all the more timely and poignant. Both films, on different scales, have generated much Internet chatter. An online petition demanding a PG-13 rating for “Bully” has attracted nearly 500,000 supporters – many of whom, presumably, would be willing to pay a small fee to see the film on their televisions or computers. The Web, in recent years, has become a weapon of bullies, helping fuel a national scourge – a sick game that’s gotten out of control. The best way to beat the jerks isn't to outrun or outshout them, but outsmart them. It’s time to try turning the power of the Internet on the bullies. Hester is founding director of the award-winning, milt-media NY City News Service at the City University of New York Graduate School of Journalism. He is the former City Editor of the New York Daily News, where he started as a reporter in 1992. Follow him on Twitter.